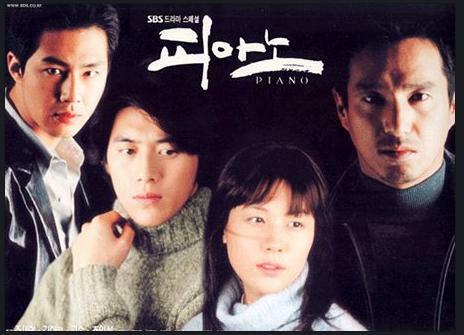 With the help of crime boss Hak-Soo (Lim Dong-Jin), Eok-Kwan (Jo Jae-Hyeon) becomes the number 2 ranking member of his gang in the port city of Pusan. Nevertheless, Eok-Kwan worries about his rival Dok-Sa (Lee Jae-Yong). In order to become the crime boss, Dok-Sa sets up a trap for Hak-Soo, by conspiring with another gang. Somehow Eok-Kwan manages to escape and heads back to their hideout. Crime boss Hak-Soo is arrested and Dok-Sa goes missing. Under the circumstances, Eok-Kwan becomes the gang leader. Not long afterwards, Dok-Sa takes over the position held by Eok-Kwan and Eok-Kwan is exiled from the gang. Eok-Kwan now lives a hard life, when he is contacted by a woman he lived with for a short time in the past. Eok-Kwan travels to Seoul to meet the woman, but instead of her, his young son, Jae-Soo (played later by Ko Soo), is waiting for him alone. Meanwhile, after the death of her husband, who was a district attorney, Hye-Rim (Jo Min-Soo) decides to move back to her hometown of Pusan with her two children Lee Su-Ah (played later Kim Ha-Neul) and Lee Kyung-Ho (played later by Zo In-Sung). Hye-Rim sells her home in Seoul and travels to Pusan by train. On the same train Eok-Kwan and his son Jae-Soo are passengers. Eok-Kwan plans to abandon Jae-Soo on the train, but because Hye-Rim and her children are there he can't go through with it. Instead, Eok-Kwan and Jae-Soo continue on the train to Pusan. In Pusan, Hye-Rim prepares for her new life by remodeling a building into a piano teaching institute. Hye-Rim's son Kyung-Ho still can't accept the death of his father or his new hometown of Pusan. Kyung-Ho constantly fought with the kids in the neighborhood, including Jae-Soo (Eok-Kwan's son). Eok-Kwan did not do anything during this time, with his son Jae-Soo even paying their rent with the money he saved. One day, Eok-Won, who seemed to be giving up on his life, saw Hye-Rim, who was teaching kids in the neighborhood. With Eok-Kwan's consistent romance towards Hye-Rim, the couple married. Nevertheless, Hye-Rim's children, Su-Ah and Kyung-Ho, could not accept their marriage. Prior to their marriage, Su-Ah and Jae-Soo met and became to like each other. After the marriage, Su-Ah tried to conceal her feelings towards Jae-Soo by acting indifferent to her new stepfather Eok-Kwan and stepbrother Jae-Soo. Kyung-Ho also did not like his new stepfather, believing he was a no good dad and could not compare with his district attorney father. Through all of this, Eok-Kwon was able to change his ways and become a good father and husband. Several years later, Eok-Kwon and Hye-Rim was having a good time on a boat in the lake, but the boat turned over. Hye-Rim dies and Eok-Kwon survives. Because of the tragic accident, Kyung-Ho hates his stepfather even more. Su-Ah and Kyung-Ho attempts to move out of their home, but Eok-Kwon pleads with them to stay and that he will try to be the best father for them. Several more years later, Su-Ah is about to be raped when Kyung-Ho suddenly appears and kills her attacker. After the incident, Jae-Soo takes the wrap for the murder and goes to prison. His sentence was lenient because of his trouble free background. Kyung-Ho leaves his hometown and goes to Seoul. There he becomes a gang member. Years later, Jae-Soo becomes a doctor and Su-Ah works in a record shop. They still love each other but suppress their feelings. Sherryb Mar 01 2015 2:11 pm This is a sad yet redemptive story of people caught in the web of life's circumstances. It is the story of unconditional love of a stepparent for his wife's children because of his love for her and his promise to take care of them. This drives him to consistently love and protect them,despite their disdain for him and his son. The story also is one of self sacrifice for the greater good of family. Be prepared for lots of tears from the actors and from yourself as you watch this drama. Not your usual Kdrama fare. Would recommend if you are a true Kdrama fan. Jo In Sung is impressive ...can certainly see the potential in this early career performance. Despite some scenes of over acting he was able to bring great expression to his character.